Plus: Next Fifteen has posted organic growth of more than 5% for its last fiscal year. Scroll down for that and the rest of Wednesday morning's top communications news. 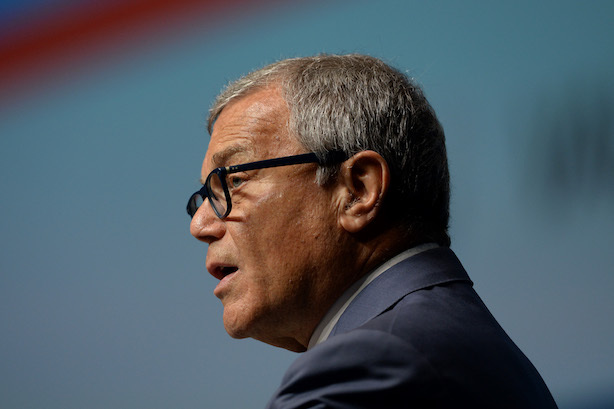 WPP CEO Martin Sorrell has denied wrongdoing as his company investigates him for possible misuse of corporate assets and an allegation of improper behavior (Wall Street Journal). "I reject the allegation unreservedly but recognize that the company has to investigate it," Sorrell said on Wednesday (Reuters). The investigation has also resurrected questions about the WPP CEO’s succession planning (Campaign), or lack thereof. "He hasn’t identified or even brought in the people or a layer of management where you feel, if he did leave, they’d be ready to take over," said Ketan Patel, a fund manager at shareholder Edentree Investment Management (Bloomberg). Sitrick and Company has resigned spokesperson duties for Harvey Weinstein. The firm was brought on last October, as stories began to emerge about improper sexual behavior by the disgraced film mogul (Deadline Hollywood). Next Fifteen posted "strong organic growth" in the second half of its last fiscal year. The holding company’s organic growth rate was 5.2% for all of 2017 to $276.9 million. It cited performances by Lexis and Text100 and noted group business wins of accounts from Samsung, Slack, and Nike (PRWeek). The Twitter account of a YouTube manager was hacked and used to distribute fake news during Tuesday’s shooting (The Verge) at the company’s campus. The suspect in the shooting was reportedly upset at YouTube for de-monetizing her videos (NPR). In the hours after the incident, YouTube CEO Susan Wojcicki used Twitter to thank first responders, while Twitter CEO Jack Dorsey mocked President Donald Trump’s "thoughts and prayers" response. Facebook has banned 270 accounts linked to Russian quasi-intelligence service/troll farm the Internet Research Agency. However, these accounts were targeting Russian residents, according to a post from Facebook CEO Mark Zuckerberg, unlike the accounts that created content seen by 126 million Americans before the 2016 presidential election (Recode).